LYNTON, N. 2007. William Scott, London, Thames & Hudson. 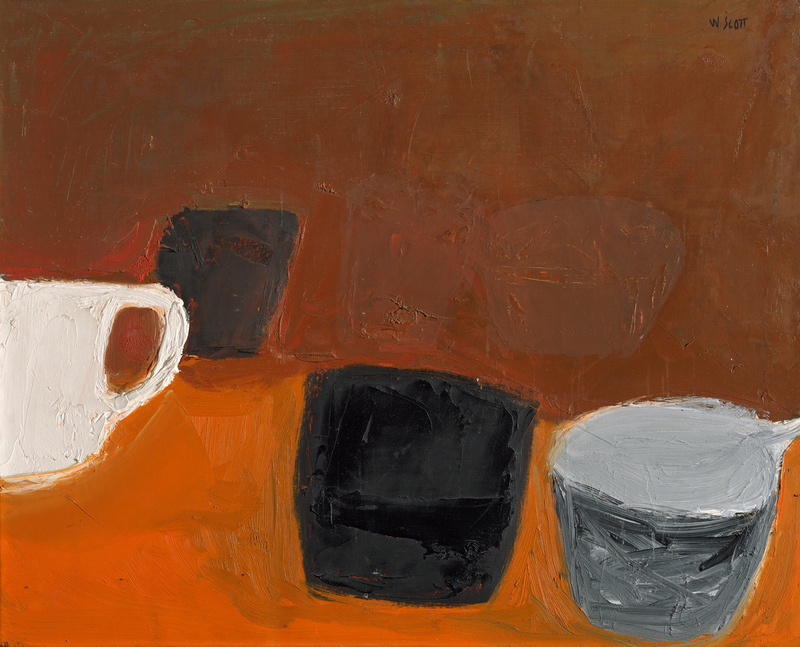 William Scott (1913 – 1989) was a British artist from Northern Ireland, known for still-life and abstract painting. His apparently simple paintings of pots, pans and stylised nudes explore relationships between space, form and colour. Much of the emotional impact comes from use of paint textures within the abstract shapes. “behind the facade of pots and pans there is sometimes another image … a private one … sensed rather than seen”.